The main feature of this fin is its polypropylene blade that provides an excellent response. And weight is no longer a problem. These fins provide more thrust power to a diver’s kicking, which results into an excellent effort/performance ratio. Special grooving for water channelling moulded on the surface provides outstanding stability and direction. The thermorubber foot pocket (with varying levels of hardness) is very comfortable to wear and a proper fit is ensured by ergonomic design. 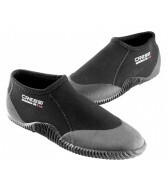 The heel strap, an exclusive Cressi design, is a special round bungee cord band that perfectly adjusts to all foot sizes and shapes and provides a comfortable, practical and manageable fastening. 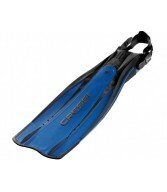 It features a special ample slot for easy don and doff even when wearing thick gloves for cold-water diving. The wrapping section is highly flexible, so no adjustment is needed. As a result it is much easier to get all your equipment right in the first few meters of your descent. 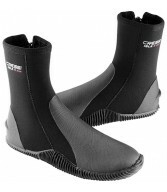 And the fin stays in place against your foot despite the increase in hydrostatic pressure. 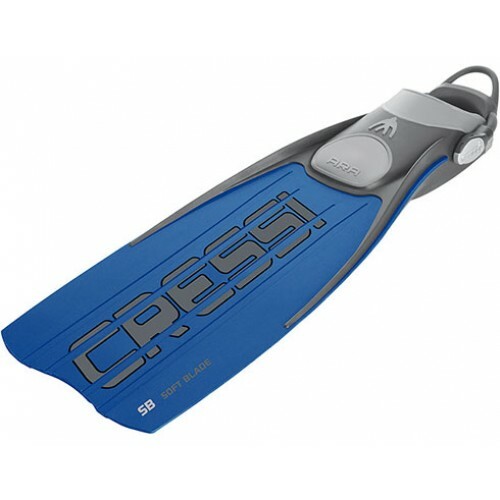 Ara Ebs fins come in two rigidity levels: HB (Hard Blade) and SB (Soft Blade). 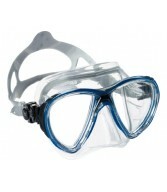 They meet all the needs of experienced divers, from expert professionals to advanced aficionados. The blade in this model is very soft, suitable for situations in which high performance, endurance and resistance are needed but without exhausting your legs. 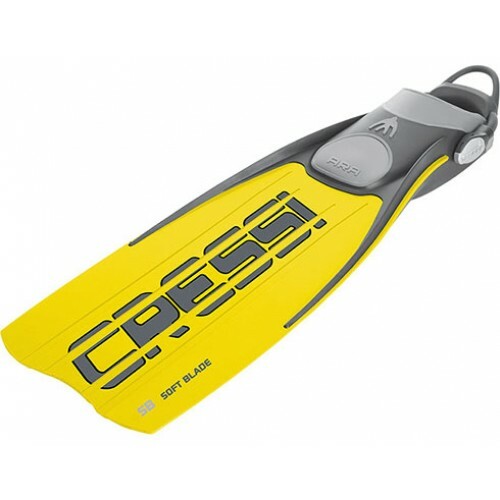 This model is perfect for underwater photography, exploring and diving in general.